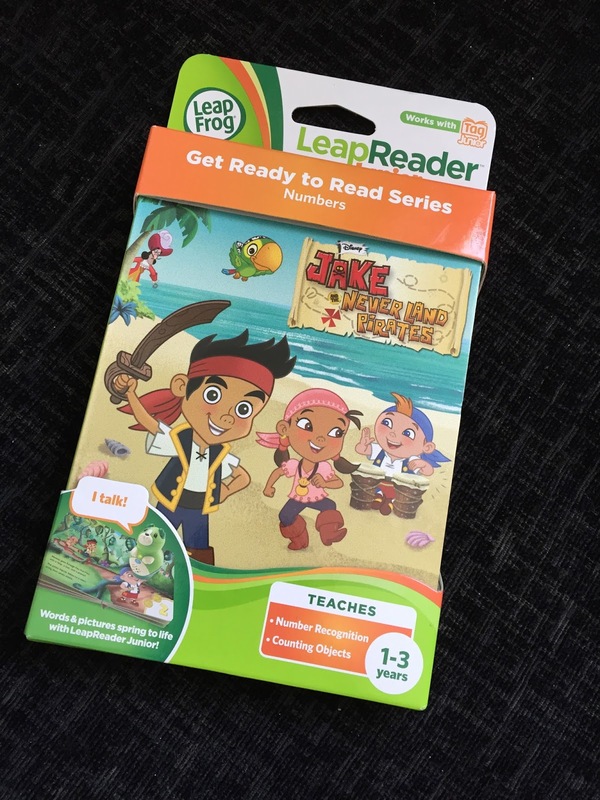 LeapFrog likes to choose a different book each month to be it's "Book of the month" and this month Jake and the Never Land Pirates is the top pick. This book is part of the Get Ready to Read Series which can be used in conjunction with the LeapReader Junior. Aimed at children primarily aged 1-3, it aids in number recognition and counting objects. 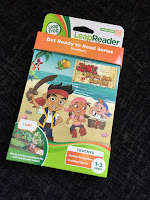 As with all products from LeapFrog it is fun and engaging whilst remaining educational. This is one of the reasons I loved the LeapReader Junior in the first place because kids take so much in when they are younger so I find it brilliant that they can be gaining useful skills whilst playing. This story is 15 pages long and it follows Jake and his friends as they try and stop the naughty Captain Hook from stealing the bongo drums. As they go about their adventures they find themselves coming across tricky obstacles which your child can help them count. And if you are a fan of the television programme you will know that they collect Gold Boubloons (treasure) along the way. These too can be counted, seeing how much they have earned after all of their hard work. This book can be read with or without the LeapReader Junior and is perfect for little ones to explore with independently or to read together with family. And it isn't just about numbers. We've spent time looking at different colours and what treasures can be found throughout the book too. Using some recognisable characters, it shows numbers from 1 right up to 9 and really starts to instill the idea that numbers don't need to be boring and that maths can actually be fun!!! My youngest daughter hasn't put it done since it arrived in the post so it definitely gets a big thumbs up from us. Disclaimer : I was sent this book FOC however all thoughts and opinions are my own.